Rafael Melgarejo Heredia, Steve Anning, Juljan Krause and Clare Walsh were all invited to participate in a discussion about how the Web has grown, and how they might want it to develop in the future. Brave conversations was a two-day event, bringing together experts in the Web, such as Doc and Joyce Searles, inventor-futurist David Wood and a broad range of people, from those working in law and the charities sectors to young people, in the main issues around the Web today. This two-day workshop was run by Intersticia, an organisation addressing how we should be responding to the changing world. It is part of a broader, global project taking place in countries from Australia to Dubai. The students along with Professor Dame Wendy Hall and Professor Susan Halford were invited to speak at the event, sharing their insights into the way the Web has got to where it is today, and how technologies appear to be impacting the social sphere. 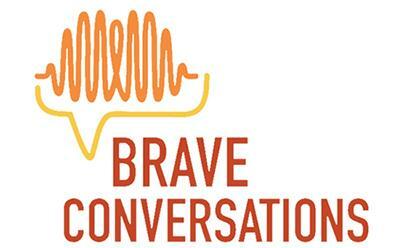 The Brave Conversations project addresses the fundamental needs for interdisciplinary collaboration to solve some of the urgent problems we face, and the need to actively work to get the Web that we want in future. It was clear from discussion that many people who are affected by the Web have not taken time to reflect on some of the core issues, such as ‘What values do we want to shape the Web?’ and so outreach projects like these are very necessary. Many of the issues revolved around the problems of a Web created and sustained by social and economic systems that are inherently unfair, and it was a chance to imagine other possibilities. The Web that we have today is not the one we will have forever, and there are chances to intervene at this stage. The participation of younger members of society, those who might previously have been classified as ‘digital natives’, was a central feature of this project. Many felt disempowered to shape the Web, or were unaware of some of the things they could be doing, either personally or on a more macro level, to help to shape the Web they’ll inherit one day. The day ended with a personal reflection on the role our own agency might play in the future. In a Web that both shapes and is shaped by the technology and the people using it, what can we do to guide developments in a responsible and ethical way? It is a reminder to us all to take time to consider these questions.